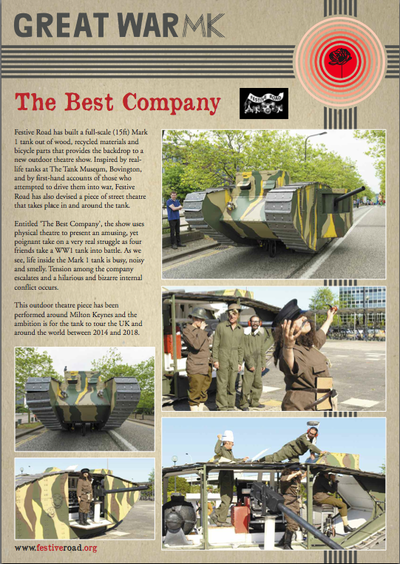 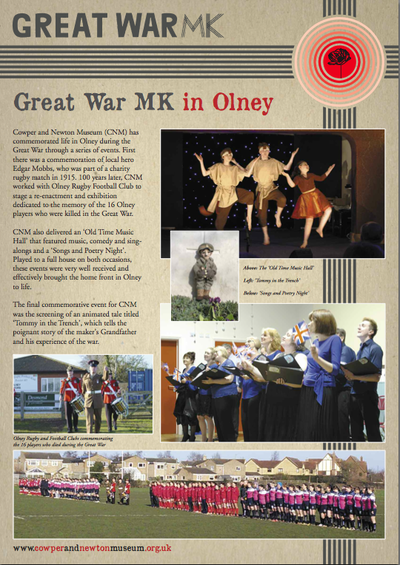 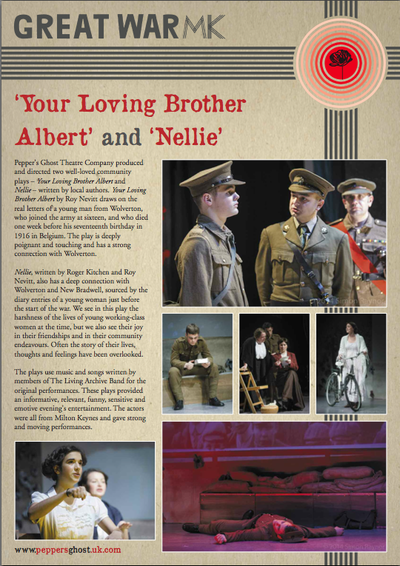 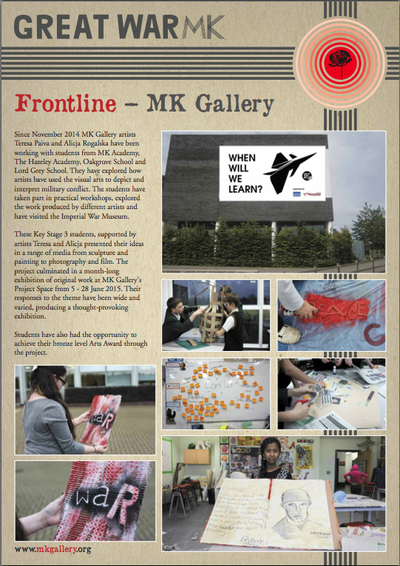 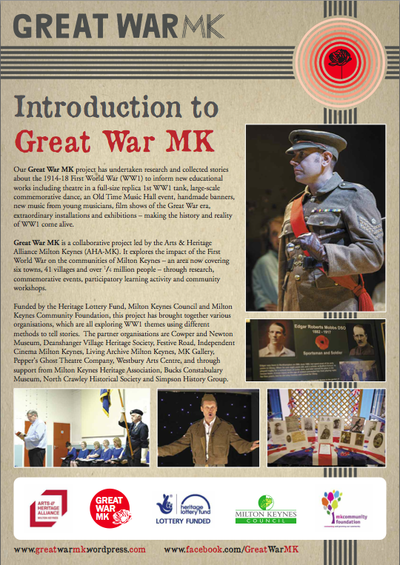 During 2014 and 2015, Great War MK explored the impact of the First World War on the communities of Milton Keynes a hundred years ago. 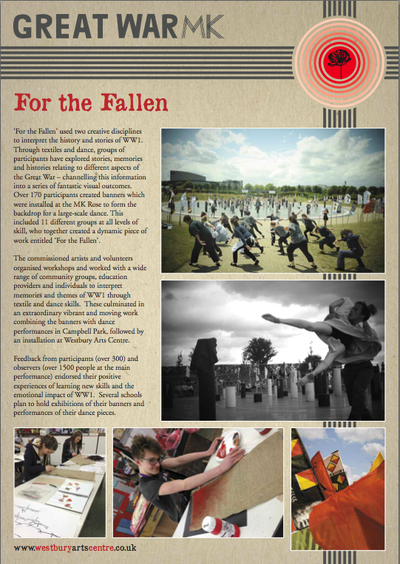 In a collaborative project led by the Arts & Heritage Alliance Milton Keynes (AHA-MK) a dozen local organisations together created new music, new dance performances, new artworks, new films and new productions to make people’s experience of WW1 come alive. 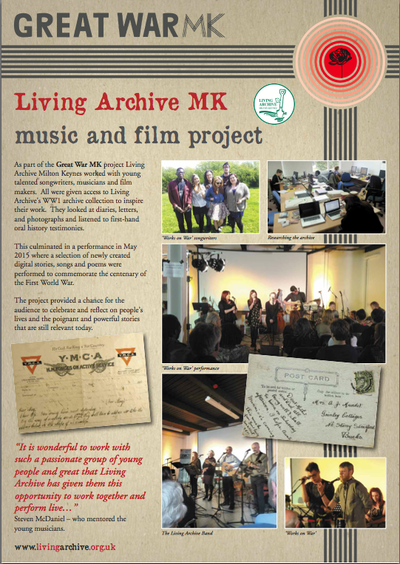 Come and view for yourself what inspired our artists, presenters, producers and performers – and see what they did with it! 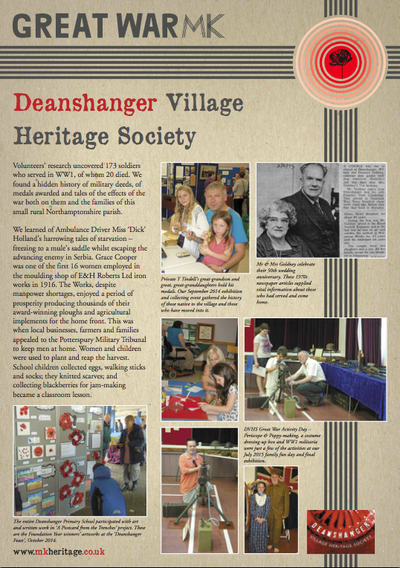 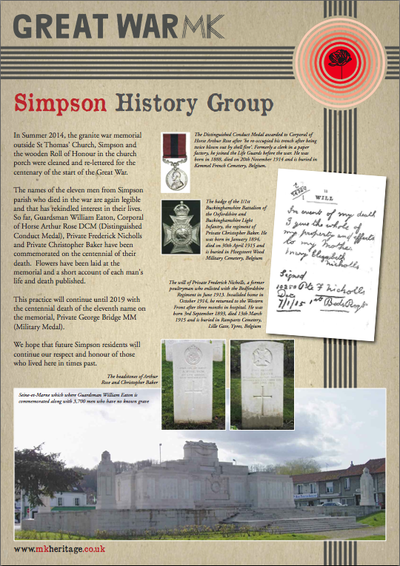 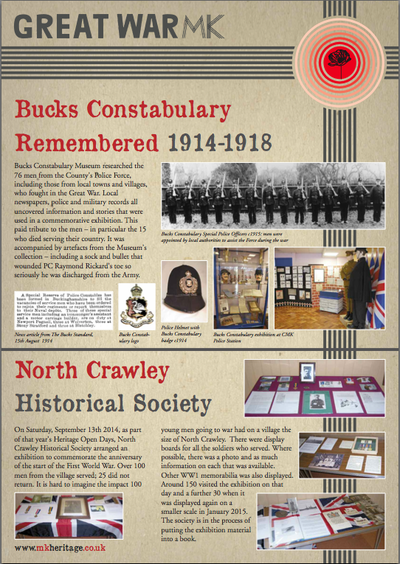 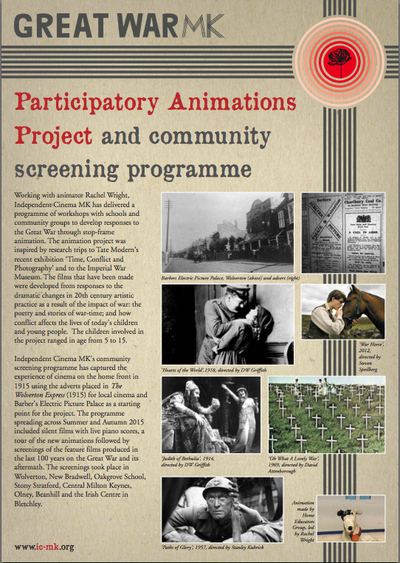 Click on the thumbnails to see full size versions of the exhibition panels.